The Artist Chef: LONDON on 2010! Joanie is off to London on her birthday 2010. To pick up her prizes and meet Danny and Jamie perhaps. And will dine at Jamie's Italian Resto. Twist of Fate. Who would have thought that I could possibly meet Jamie one day soon. You just to have to trust your dreams and be positive about it and things will fall into place. I am just so happy to receive an email from Danny regarding stuff he did for my birthday. No it makes me look forward to my birthday next year. 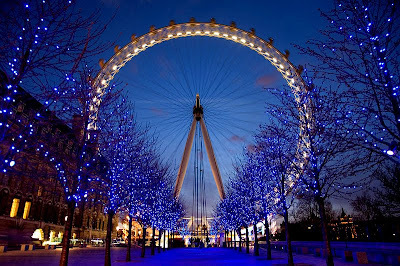 I hope I can also ride The London Eye! Bon Voyage Joanie, enjoy London! :) I do hope you bump into Jamie Oliver (malay natin). My hubby loves his cooking shows, we try to catch in on the web.